The Bulova C4859 Gotham wall clock is a 36" Diameter clock that has an aged black metal case accented by silver industrial type numbers and hour markers. 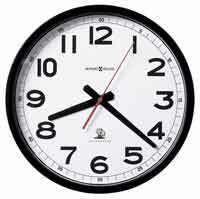 The clock assembles easily allowing the shipping carton to be small and easy for UPS or USPS shipping. 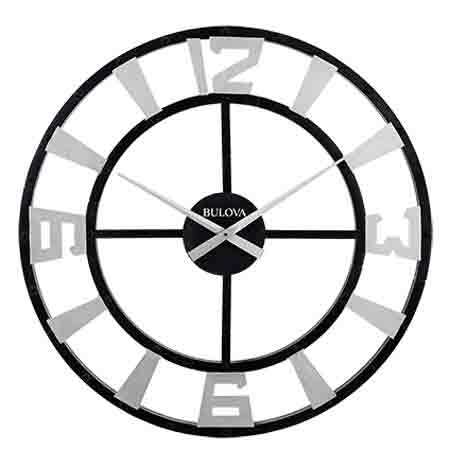 The center time keeping disk easily removes once the clock is hung on the wall for battery replacement or time setting, no need to remove the complete case. The hi-torque accurate quartz movement uses 1 C battery not included. Size : Dia. 36 in. x D 2 in. 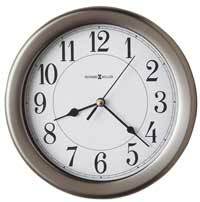 Clocks for sale at The Clock Depot including the C4859 at discount prices.